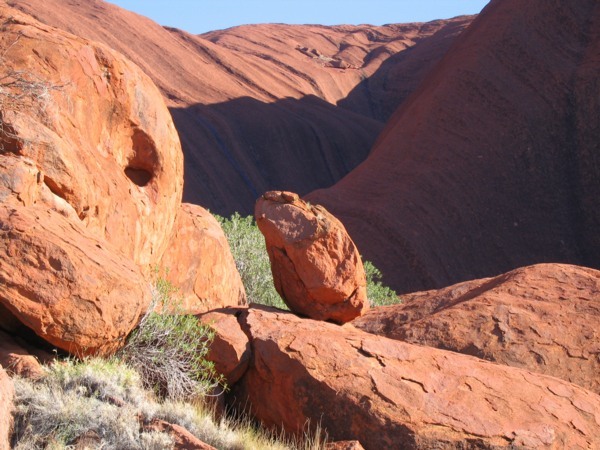 Australia's Aborigines are not known to have made rock and stone structures other than for religious purposes, such as Dreamtime ground paintings. Few outsiders have seen such permanent installations, but they are reported to be in some cases enormous. 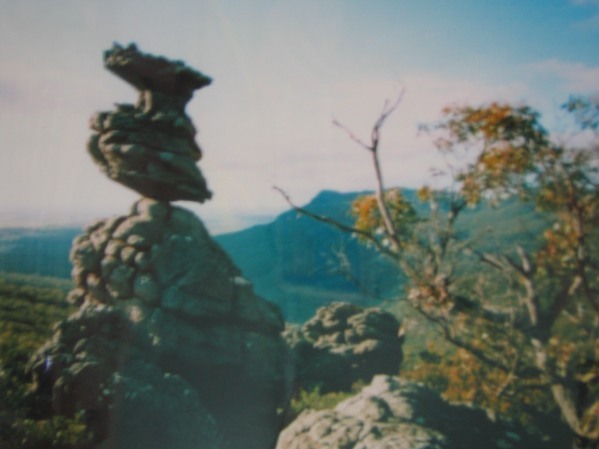 Seemingly natural balances occur throughout the vast landscape of the country, and John Parker, an employee at McKenzie Falls, Gariwerd-Grampians National Park, Victoria, has generously provided the three images below from Asses Ears Mountain Range. Other examples frequently offer tantalizing hints of human impact over the millennia. 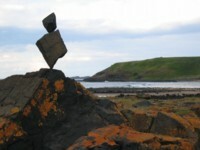 And Australia's surfers have begun to balance, as well. 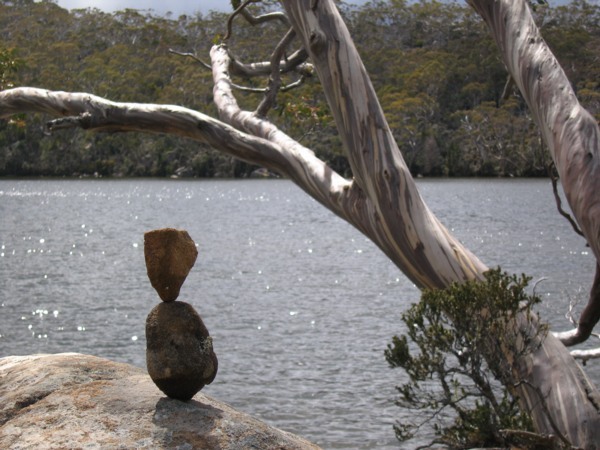 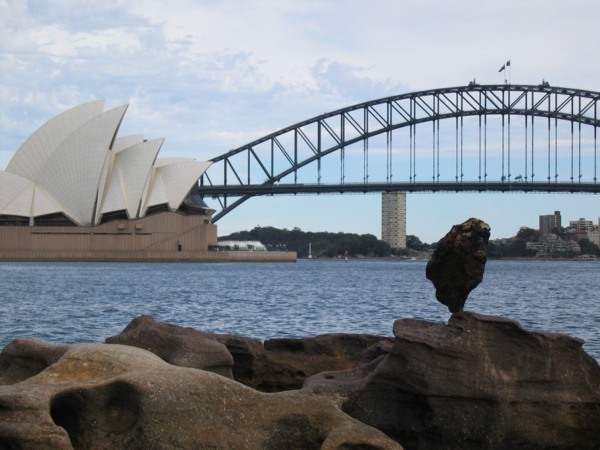 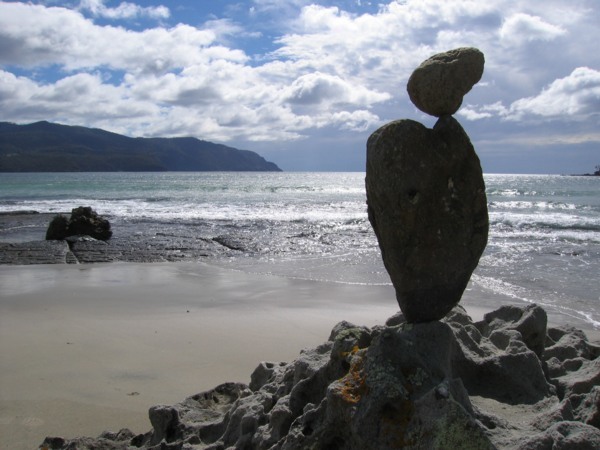 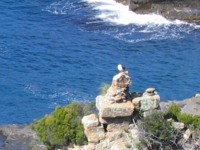 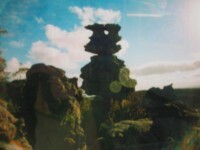 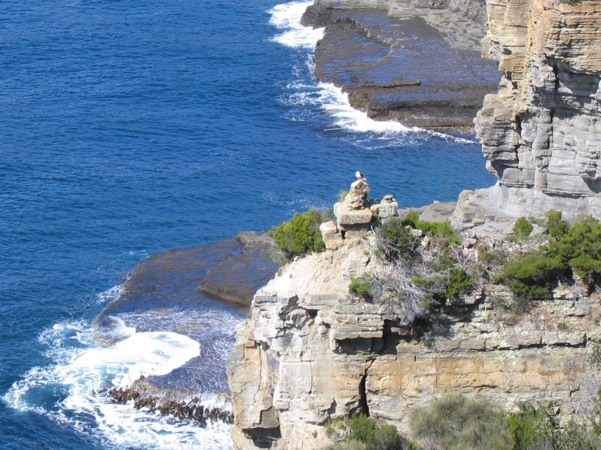 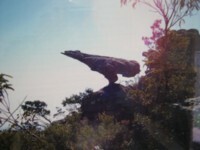 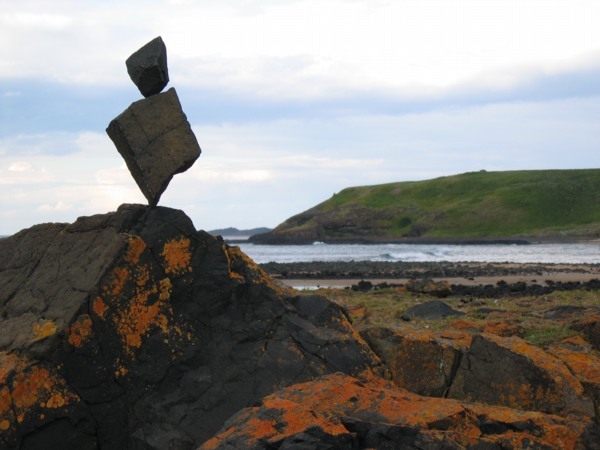 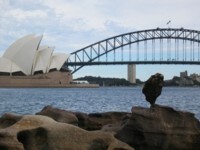 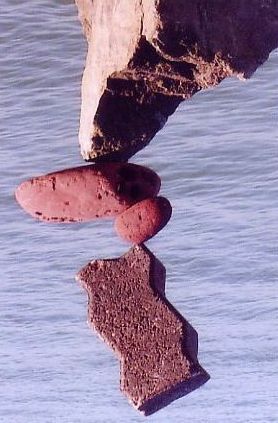 Vistors to Australia are often tempted by the adundant rock, harmonious scenery, and vibrant colours of the land to find appropriate opportunities for balancing art. 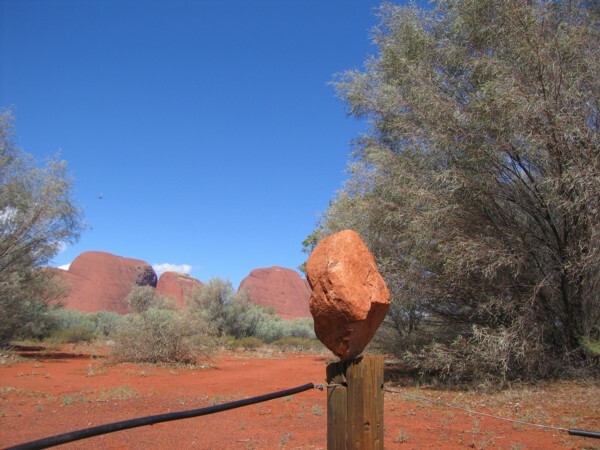 They need to remember, however, not to disturb sacred sites where the very geography itself carries profound meaning for the traditional owners.